Thousands of Arizona public-school teachers and their supporters are expected to wear red to work Wednesday in protest of the low pay they say has exacerbated the state’s critical shortage of qualified teachers. Karvelis created a closed Facebook group over the weekend called Arizona Teachers United to mobilize teachers’ support for the protest. The group had more than 11,000 members as of Tuesday evening. Karvelis said Arizona teachers have been galvanized by the efforts of the West Virginia teachers who started a nine-day strike across all 55 of the state’s school districts. The strike led to an agreement by that state’s Legislature to boost pay by 5 percent. But many teachers have been unsatisfied by the state’s efforts and have said they don’t do enough to address the flood of qualified educators leaving Arizona’s classrooms. The majority of Arizona’s schools staffed classroom teaching positions with teachers who were either underqualified or inexperienced during the 2016-17 school year, an Arizona Republic analysis found. As of last November, school districts had filled more than 1,000 teaching positions this school year through Emergency Teaching Certificates that require only a bachelor’s degree and no formal teacher training. 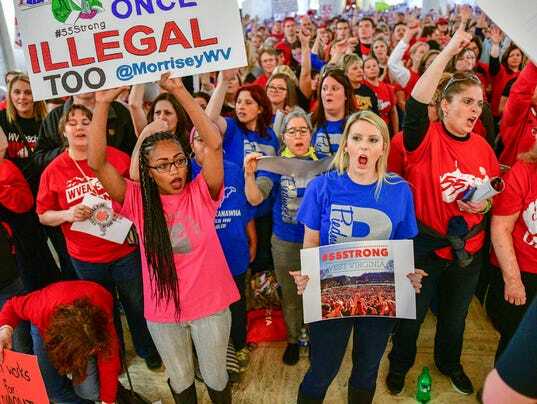 West Virginia’s teacher strike first took shape through a similar mobilization of teachers wearing red, and teachers in another low-pay state, Oklahoma, are also organizing for possible job action. But organizers of Arizona’s teacher protest said they do not plan to go that far yet. Instead, they described Wednesday’s action as the “first step” toward mobilizing support among the state’s teachers. Patrick Ptak, spokesman for Ducey, said the governor’s focus remains on finding more money to pay teachers. Ducey and the Legislature promised last year to give teachers another 1 percent hike this year. 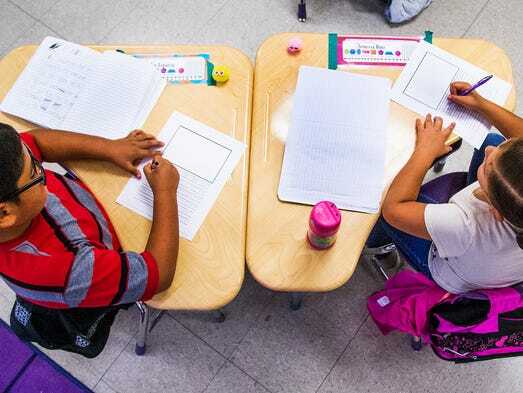 “I think we can all agree that the best thing we can do is get more dollars to classrooms and teachers — and that’s what the governor is focused on,” Ptak said, adding that Ducey’s 2019 budget invests additional money for K-12 education.